I know those people are hurting. They lost someone they loved to addiction and the problem all started with opioids. I basically heard them tell me that I don't know what it's like to lose someone and that it could have been different if they hadn't gotten hooked on opioids. I know very well what it's like and it makes me angry. I'm not angry at the system and I'm not angry at the drugs. I'm angry because the typical reaction is, when any tragedy happens, is to blame the object and outlaw it. It doesn't matter that there are many law abiding people that depend on these medications to live a functional life. The only thing that matters is that some people have died and that they are somehow not to blame; the pills are to blame. Funny, it doesn't work that way with alcohol related deaths. We don't blame the car. Let's put this under a microscope and have people spend more than 30 seconds in pain management. Instead of throwing hydrocodone or oxycodone at patients who have a tooth pulled let's try using some common sense. Instead of spending less than ten minutes with a patient in pain management and leaving with narcotics wouldn't it make sense to have some counseling go along with it? Let's also do some genetic testing so we know what the dosage should be and how it will be metabolized by the individuals system. Instead of throwing prescriptions at people could they just talk to you first and find out what is going on? Would that be too difficult? All this so-called "shaming." There's fat shaming, body shaming, skinny shaming, illness shaming and now pill shaming..... all this garbage. When is just being mean "shaming." Puts a sweet spin on someone who just wants to be cruel. Everyone has an opinion behind a keyboard. Social Media is wonderful in some respects but, I'll tell you, I'm REAL glad it wasn't around when I was in school. If you don't agree with someone it is now ok to be cruel. So we are now going to pill shame. It's not like I've got a boo-boo on my finger and prescribed pain medication. Voodoo pain is the pain that I live with. I know that at any point in time someone is going to stab that little voodoo doll with a pin and I will feel a stabbing pain somewhere. If they hug and squeeze that little voodoo doll I'm going to have a dull ache all over my body. Again, this pain I've learned to handle. It's when the pain increases to whole other level; my whole body feels likes it's being compressed like a junk car that is being compressed to the size of a box of cornflakes. That voodoo doll? It's being stabbed all over....over and over again with a ferocious intensity. 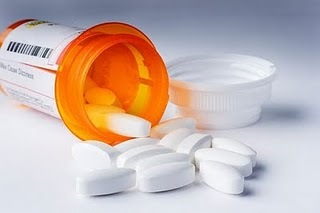 It is that pain that makes have to take pain medication to make it tolerable. There are a lot of people like me. Maybe I don't have an addictive personality. I heard that one from my doctor. Maybe it's because I metabolize opioids slowly. I can't take very much because it stays with me. People that metabolize it quickly may have to have a different dosage or maybe that's where the trouble comes in. I don't know. I just think we have to do things differently. The knee jerk reaction of taking it all away will not work. It didn't work with Prohibition. It didn't work with the war on drugs. All it serves is to push it underground.